Asian Games 2018 | India at Asian Games | Asian Games India Schedule. 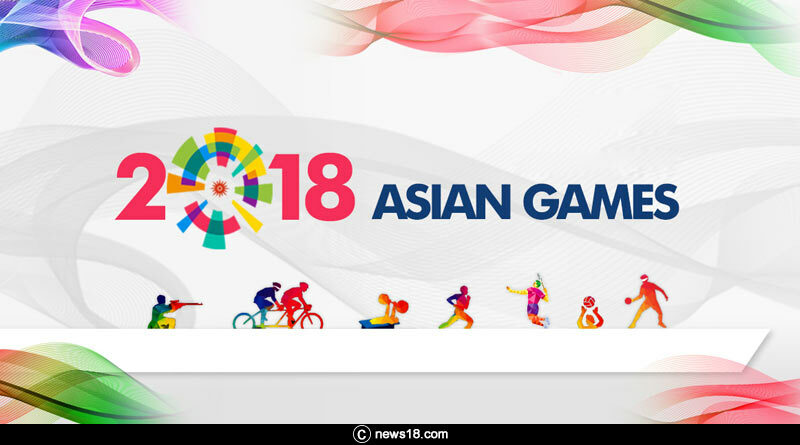 The 18th Asian Games 2018 will be kicked off tomorrow in Indonesia with a 572 strong Indian contingent set to grace the games. The 312 men and 260 women will represent the country in 36 sports in Jakarta starting tomorrow. Javelin thrower Neeraj Chopra will be the flag bearer for India at Asian Games 2018 opening ceremony tomorrow. “I am thrilled to be chosen as flag bearer of the Asian Games. It is a huge honour to be leading the Indian contingent in such a big event,” Neeraj said from his training base in Finland. India who have traditionally fared well at the event have a lot of expectations riding on them especially after a good showing in the Commonwealth Games. With some of the biggest names in international sports representing India, the hopes of bettering the 66 medals won in the recently concluded CWG are high. With the likes of Sushil Kumar, Bajrang Punia, Sakshi Malik and Vinesh Phogat leading the country’s contingent, India will be looking to garner in the medals in wrestling, a sport that the country has dominated in recent time. Badminton boasts of some stalwarts as well and they’ll be looking to increase India’s one medal won at the games till now. Athletics is another field where India will be quietly confidence of their chances. Kabaddi and hockey are two team sports where the country is expected to get golds. We bring you the full contingents for team events representing India at the Asian Games from August 18- September 2. Men Team: Ajay Thakur (captain), Pardeep Narwal, Monu Goyat, Rishank Devadiga, Rahul Chaudhari, Rohit Kumar, Girish Ernak, Surender Nada, Deepak Niwas Hooda, Manjeet Chillar, Surjeet Singh Narwal, Rajulal Chaudari, Sandeep Narwal, Mohit Chillar. Men Team: PR Sreejesh (Captain), Chinglensana Singh Kangujam (Vice-Captain), Krishan B Pathak, Harmanpreet Singh, Varun Kumar, Birendra Lakra, Surender Kumar, Rupinder Pal Singh, Amit Rohidas, Manpreet Singh, Simranjeet Singh, Sardar Singh, Vivek Sagar Prasad, SV Sunil, Mandeep Singh, Akashdeep Singh, Lalit Kumar Upadhyay, Dilpreet Singh. Women Team: Rani Rampal (Captain), Savita (Vice-Captain), Rajani Etimarpu, Deep Grace Ekka, Sunita Lakra, Deepika, Gurjit Kaur, Reena Khokhar, Namita Toppo, Lilima Minz, Monika, Udita, Nikki Pradhan, Neha Goyal, Vandana Katariya, Lalremsiami, Navneet Kaur, Navjot Kaur. Men Team: Akhin Gopala Ammal, Ashok Karthik, Deepesh Kumar Sinha, Prabagaran, Amit, Ajithlal Chandran, Rohit Kumar, Gurinder Singh, Jerome Vinith Charles, Vinit Kumar, Ranjit Singh, Ukkrapandian Mohan, Prabakaran Pattani, Pankaj Sharma. Women Team: Anju Balakrishnan, Soorya, Anusri Ghosh, Aswani Kandoth, Nirmala, Rekha Sreesailam, Anusree Kambrath Poyilil, Sruthi Murali, Minimol Abraham, Anjali Babu, Jini Kovat Shaji, Ruksana Khatun, Priyanka Khedkar, Aswathi Raveendran. Women’s Team 5X5: Nisha Sharma, Pushpa Senthil Kumar, Prasannan Geetha Anjana, Hemmige Mahesha Bhandavya, Palanilkumakalayil Skaria Jeena, Rajapriyadharshini Rajaganapathi, Raspreet Sidhu, Shireen Limaye, Priyanka Prabhakara, Madhu Kumari, Sangeeta Kaur, Stephy Nixon. For more Updates on Asian Games 2018, like and subscribe on tentaran.com.